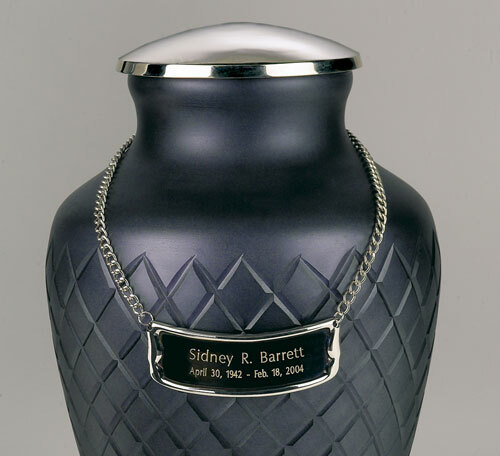 Similar to the Baroque Glass Urn but slimmer, this urn features hand-cut art glass with genuine brass trim in a silver-tone finish. The glass color is a dark charcoal several shades lighter than black. It contains no purple shades as may be noted on your computer monitor. 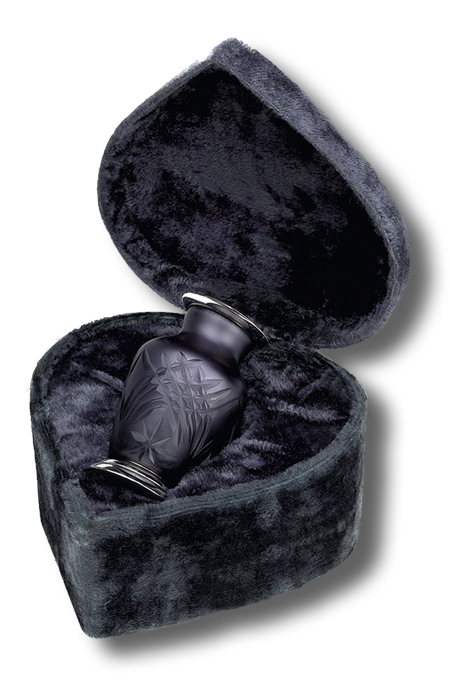 Adult urn includes a colored velvet case which may be a different color than the one pictured..
Keepsake urn includes heart velvet case. Keepsake sold separatly Please select the size you wish to order. Adult: 202 cu. in., 10.5 ht. Keepsake: 3 cu. in., 3 ht.